Children at Gospel Tabernacle Seventh Day Adventist Church helped fill food baskets for the needy recently. 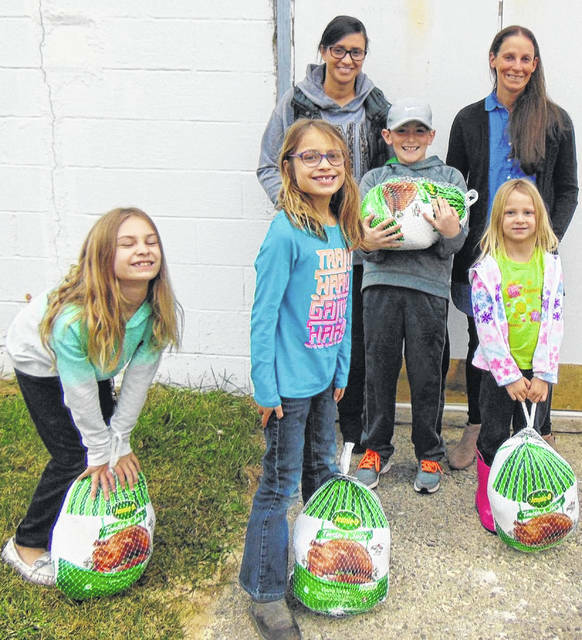 LIMA — Children at Gospel Tabernacle Seventh Day Adventist Church, 1609 S. Main St., Lima, filled Thanksgiving food boxes for needy families in Lima’s 6th Ward on Nov. 18. The food boxes included a turkey in each box.